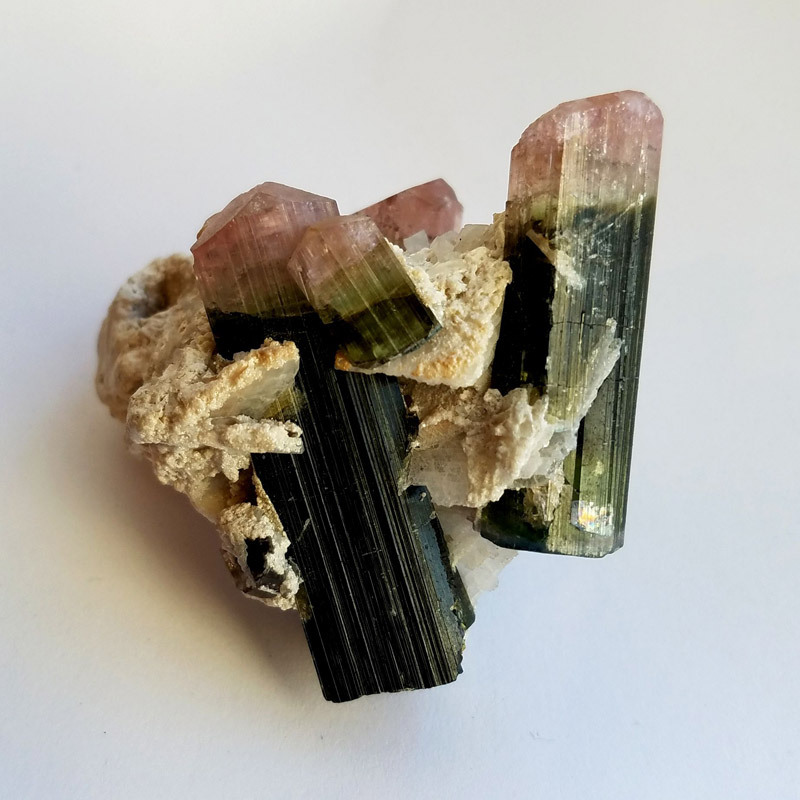 This is great tourmaline and albite specimen from Stak Nala, Pakistan. 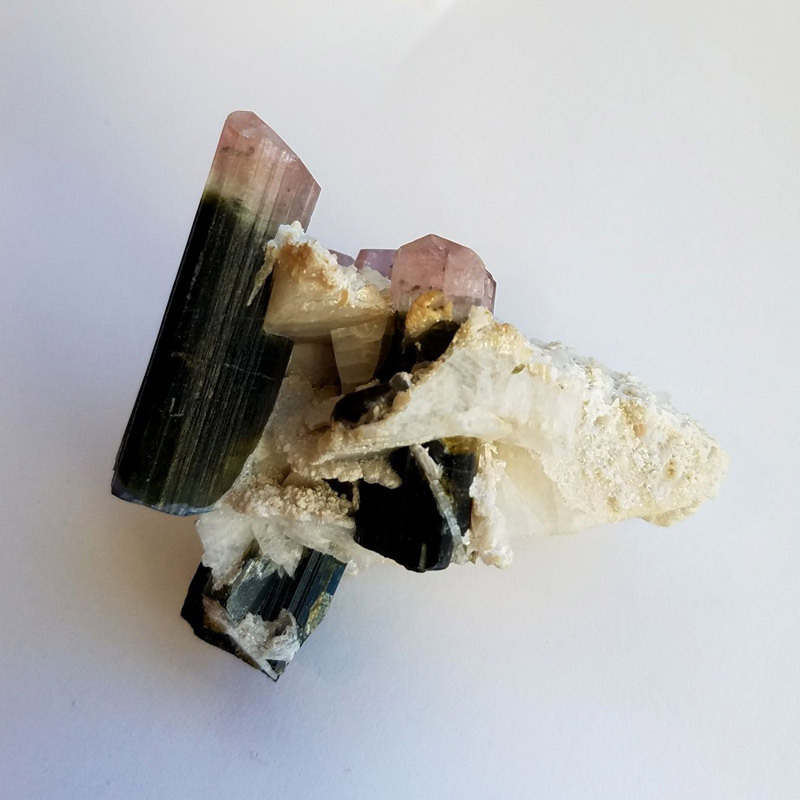 It features three major Elbaite crystals and one minor one. 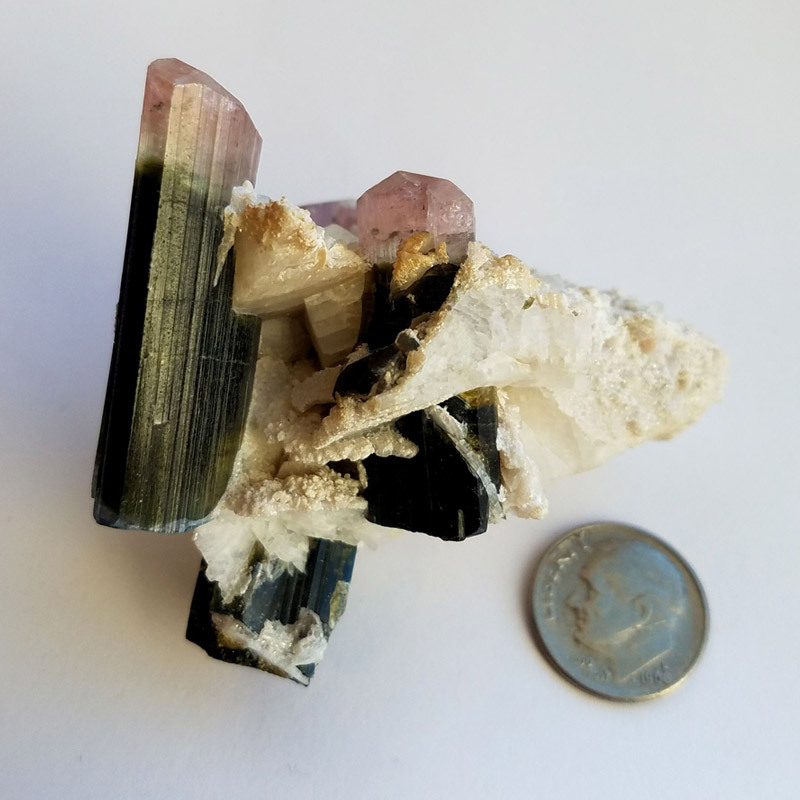 Also associated are two small smokey quartz crystals, some Cookeite coating and some unidentified white crystals, perhaps Phenakite? 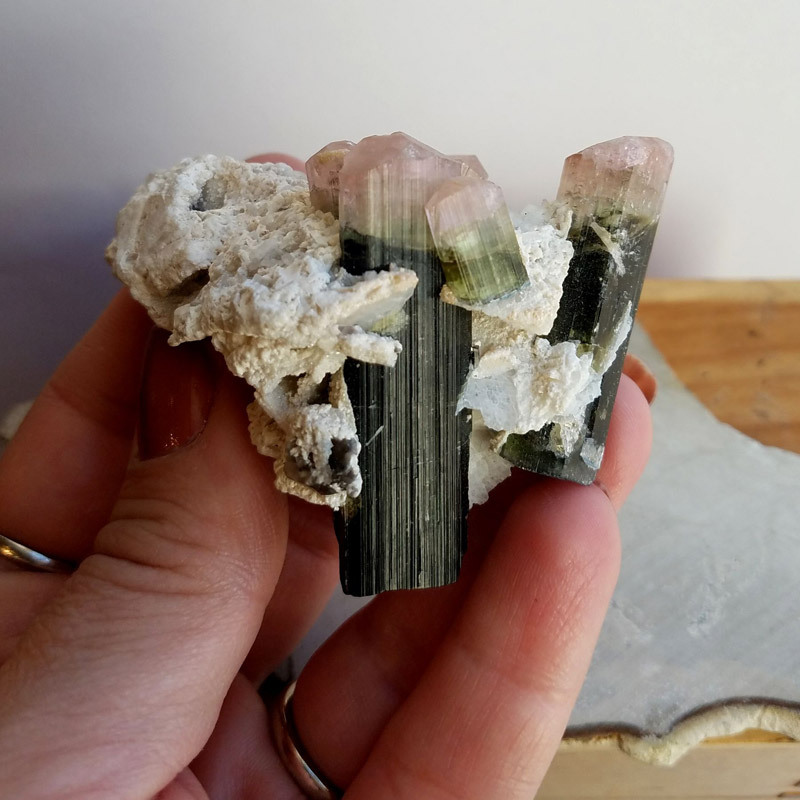 The tourmalines are classic green with pink terminations. 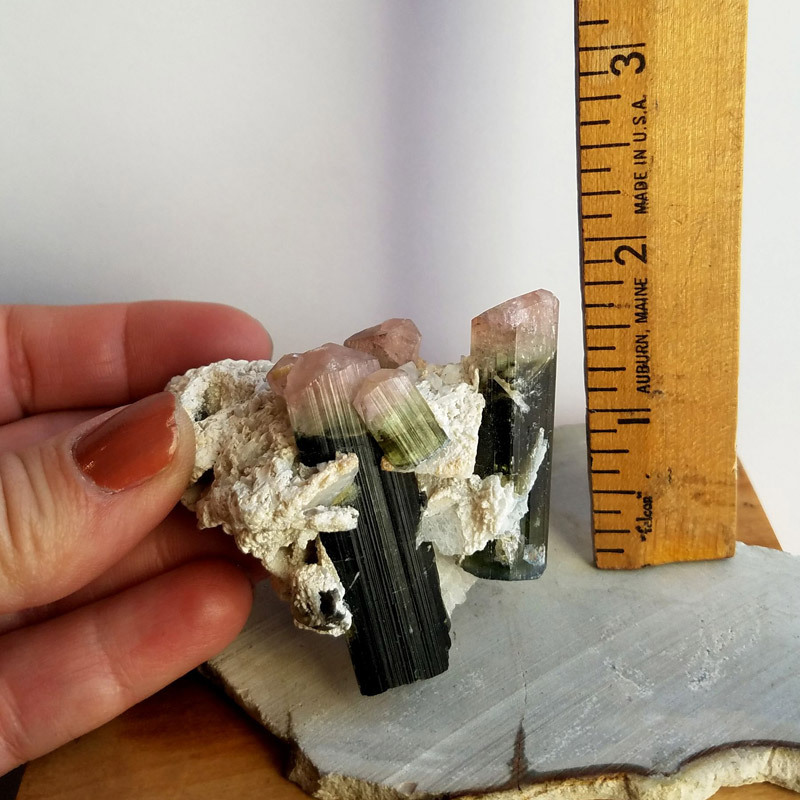 The largest measures a little over one and three-quarters inches long and approximately half an inch thick at its widest dimension. Weight is 65.1g. 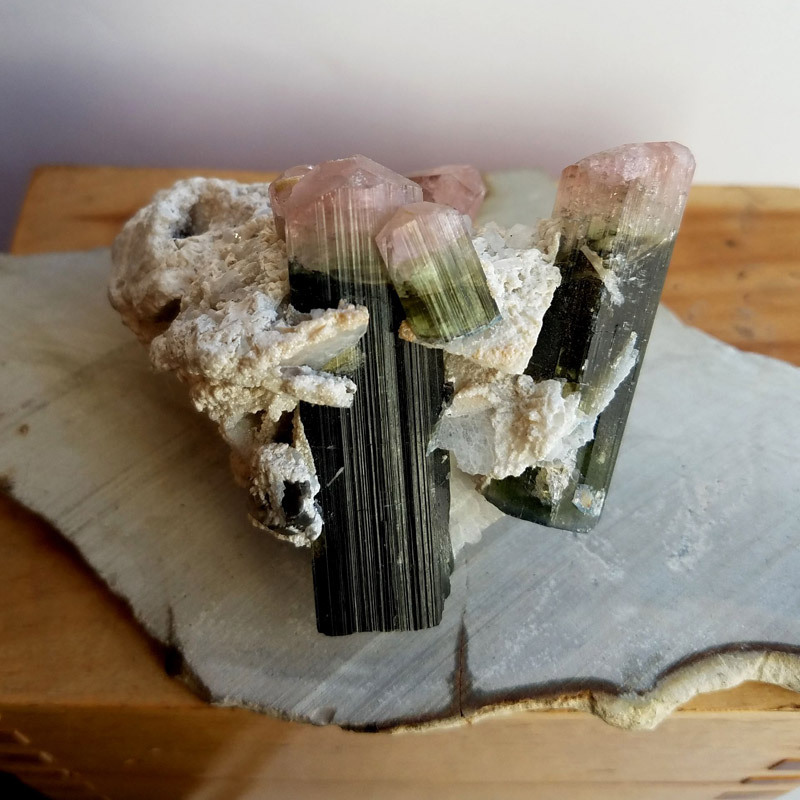 The specimen is originally from the Ronald Januzzi collection and was part of the Perham estate. It is a vintage specimen.